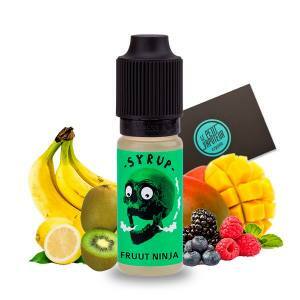 Syrup is a range of Concentrates for the preparation of your DIY E Liquids for the Electronic Cigarette. The Syrup Concentrates are made by a French Tenor of e liquids and of DIY: The Fuu. The range of Syrup Aromas revisit familiar flavours with recipes to vape in frenzy. From Classic, Gourmet and Fruity, with a few notes of freshness. They are all here, well near enough. The Syrup Concentrates are available in a 10ml Bottle.